Terrific news! Tomson Highway's Dragonfly Kites is available again--this time with art by Julie Flett! While the art Deines did in the early 2000s was realistic and had appeal for that realism, I gotta say that I really like Rombough's work. It is visually arresting and provides the opportunity to teach children about different kinds of art. 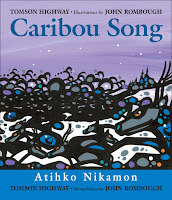 I highly recommend Caribou Song. They named one Migisoo, which means "eagle" in Cree. The other they named Wagisoo, which doesn't mean anything but rhymes with Migisoo. 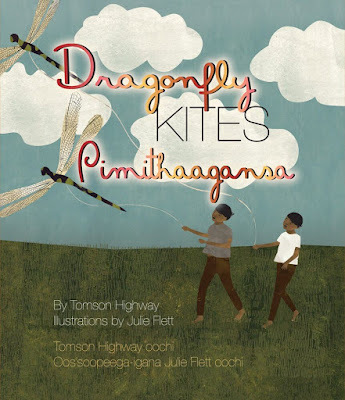 Dragonfly Kites will be at the top of my lists this year! And of course, I wonder... will Fifth House be giving us the third book (Fox On Ice), too? I hope so! The three titles are on my all-time favorite list. I'm so glad they're back! 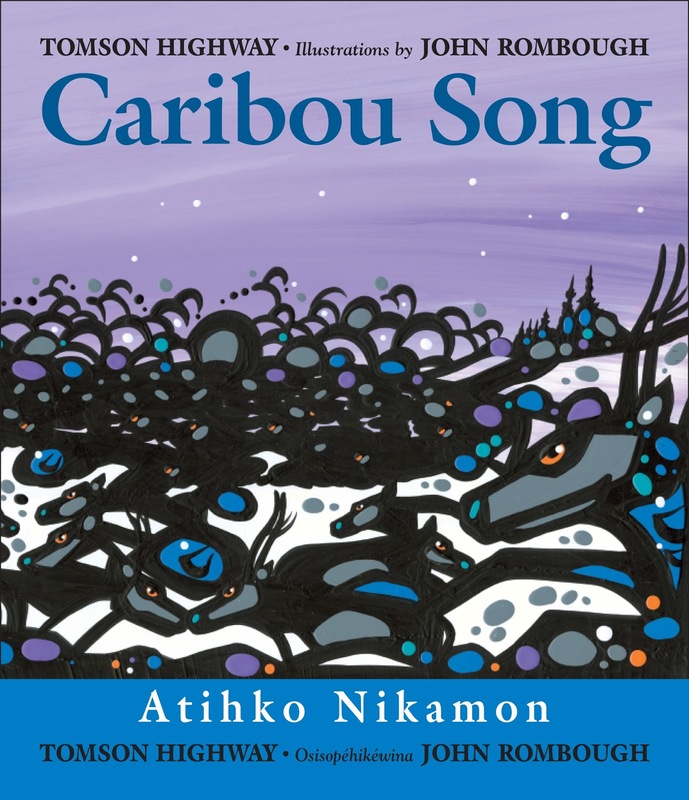 Each one bilingual, each one beautifully illustrated, each one a gentle story of childhood. 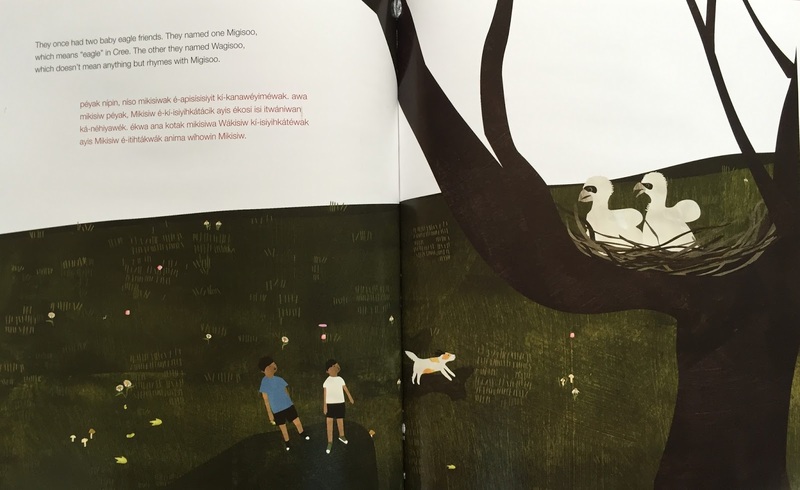 A model of how picture books can feed children's spirits. Do you find it problematic that a person from a different tribe illustrates another tribe's story? No, Anonymous at 9:41 AM, I don't. My guess is that you do? Can you say more? Sounds like a wonderful book! I love your review. Would you be interested in linking up this review with the Diverse Children's Books Link-up? We would love for you to join us if you're interested! You can find it at http://pagesandmargins.wordpress.com/2016/04/16/diverse-childrens-books-link-up/. Thanks!